This brand is owned by a young 34 year old designer who grew up in Redondo Beach. 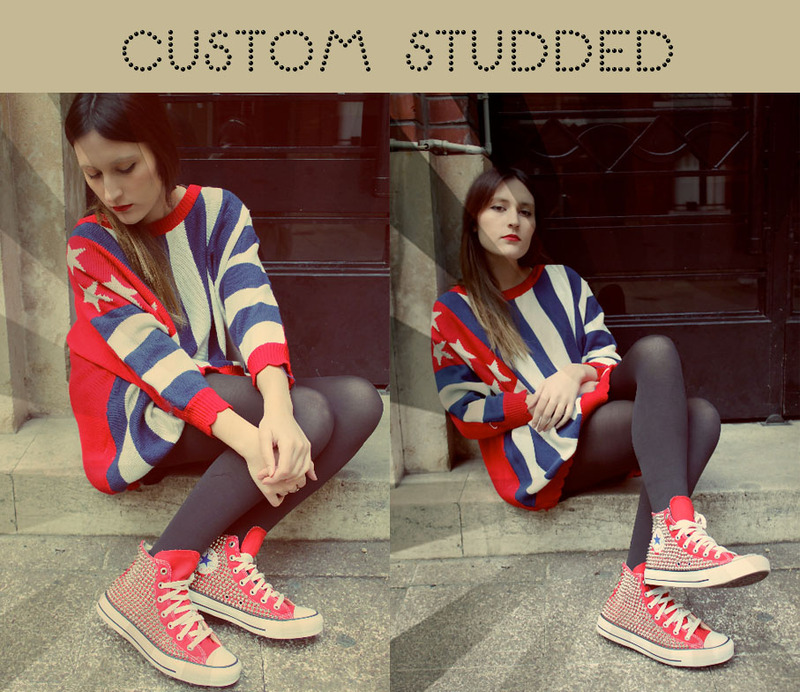 Inspired by Californian punk rock music, Jenifer, customizes converse of all colors giving them a more rock side look. I was fortunate enough to ask her a few questions about the brand. Working in the Fashion Industry for apparel manufacturing companies. Both have always been a huge passion of mine, so just the two came together about 1 year ago, more as a hobby, and I just began to attempt to grow it. My favorite designer is Pierre Balmain. I appreciate his eye and edgy style.